Mountain Route main line at left. Granite Rock Spur at right. A little-noticed and lesser-known spur in Santa Cruz between Salz Tannery's spur and Eblis is the Graniterock Spur located currently on Granite Rock Company property off Coral Street. Originally part of F.A. Hihn's vast estates north of Santa Cruz, in 1888 he sold the property to Edubina Ferrari, the widow of Desiderio Ferrari. 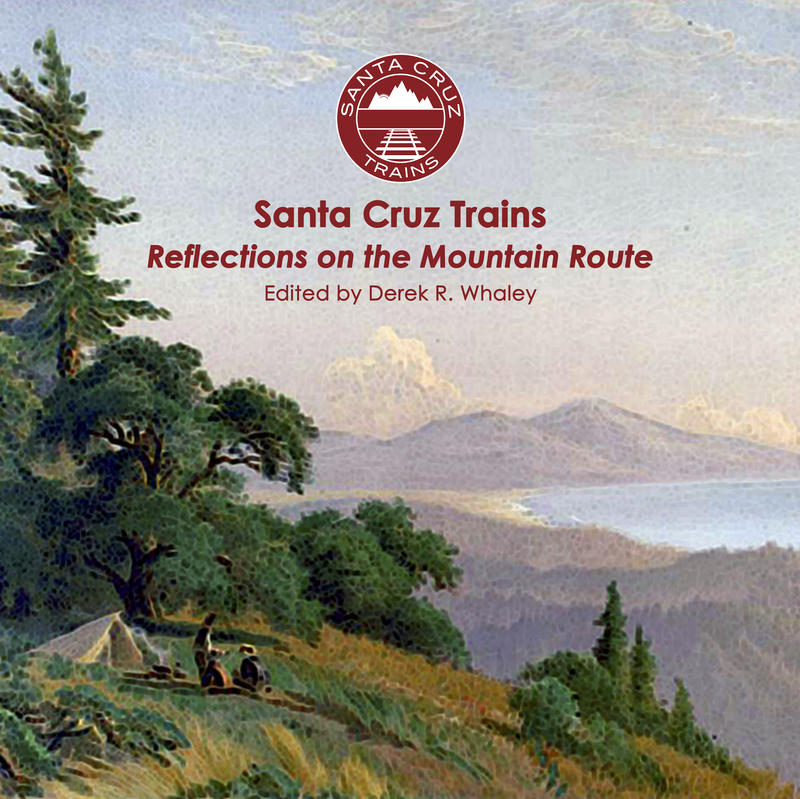 Little is known about this property during this time and it appears that there was never a spur at the site while the Southern Pacific Railroad operated on the Mountain Route. Only a single track is visible under the dirt inside the fenced facility. By the 1960s, the site was owned by a woman named Selma A. Davenhill, a possible descendant of Ferrari and the widow of William Davenhill. 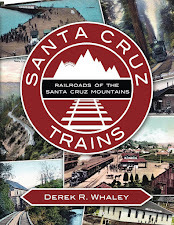 Central Supply Company, an affiliate of Graniterock, was interested in purchasing the entire Santa Cruz Aggregates complex in 1964, but a disadvantage of the site would have been the lack of access to the adjacent rail line. That same year, Davenhill sold her property to Santa Cruz Aggregates, which then promptly was bought out by Graniterock. It is likely the spur already existed on Davenhill's property by the time. Otherwise, there would have been little appeal for purchasing that small plot of land. Graniterock built a fence around the spur in 1973 via an agreement with the Southern Pacific. The area seemed to have been used primarily for loading and unloading freight shipments. The site currently has no facilities or space for such operations and the tracks are buried under stand. A large and recently-built storage shed stands just beside the tracks in the enclosure. While the tracks leading into the fenced enclosure still seem to be load-baring, it is clear that they have not been used in many years, probably decades. Graniterock has noted that the spur is no longer in use.